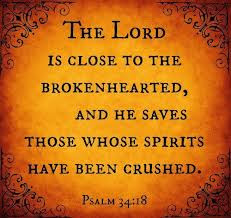 MORNING MANNA : July 05 - DON’T WASTE YOUR TEARS ! July 05 - DON’T WASTE YOUR TEARS ! “Put Thou my tears into Thy bottle” (Psa 56:8). God has a bottle in which tears are collected and kept in the presence of God. O child of God, your tears are never in vain. A certain lady had a prodigal son. She kept on weeping in the presence of God for the salvation of the boy. One day the Lord told her, “Daughter, your prayers are in My presence. You don’t need to weep any more.” Then one day, when that boy was going up in a lift, a stranger with two buckets of water entered the lift. The boy asked the stranger, “Why are you going up with these buckets of water?” Then the stranger answered, “I’m an angel of God. This is not water in the buckets. I’m taking your mother’s tears to the presence of God,” and disappeared. The boy had a shock. “How many tears my mom has shed for me!” He straightway went to his mother, apologized to her, and accepted the Lord into his life. What type of tears is God collecting in His tear bottle? All your tears may not go into that bottle. The people of the world weep when they lose their money, job, position, honour, title, etc. The Holy Spirit is sad about these people who weep, not for the glory of God, but out of self-pity. “Nobody cares. Everybody is rejecting me and despising me. Nobody understands.” These tears of self-pity do not go to the presence of God. “Lord, I don’t have enough money, I need a better job, etc.” is the cry of many. Now, it’s not wrong to pray like that. But doctors say we have only a limited quantity of tears in our system. If you waste your tears on material things you will not have any tears for spiritual things. You shed tears for material blessings and you get them, but when you die you may go empty. If you find your tear bottle empty on going to heaven, it means you are almost bereft of the blessings of God in heaven. The more we weep in the presence of God for our sins, for perishing souls, etc. the more we will be built up in God. All those tears will be collected in the bottle of God. Those tears will be plentifully rewarded by God.